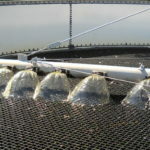 Columbian TecTanks are cost-effective, durable epoxy tanks that have a wide variety of uses and are especially well-suited for small capacity tanks. 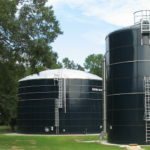 TecTanks can last about 20 years in many applications thanks to recent advancements in materials and construction. TecTanks utilize thick steel, few penetration points and an optimized bolt pattern that provide exceptional performance along with expansion capabilities, if required. 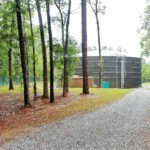 Not only are Columbian TecTanks a solid choice for many applications, they are also relatively simple to construct, with as little disruption to business or municipal operations as possible. 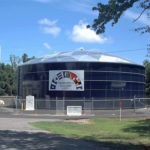 The entire process can be coordinated through Southeastern Tank, which will handle everything from design through post-erection testing. 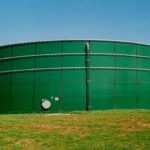 Columbian TecTanks are some of the best factory-coated, bolted shop-welded tanks in the market and have been proven in applications ranging from potable water to fire protection and wastewater treatment and management. They utilize some of the most advanced storage coatings in the industry and provide strong chemical resistance, resulting in a high-quality, low-maintenance system. With traditional welded tanks, there is a significant wait period to apply coatings if the weather delays the curing process. Factory coating eliminates weather as a factor, which speeds up construction and limits downtime and operational disruptions.